Conker's Bad Fur Day is undoubtedly a cult classic on Nintendo 64, as Rare evidently decided all bets were off and turned a previously 'cute' project into a rather mature outing on the system. 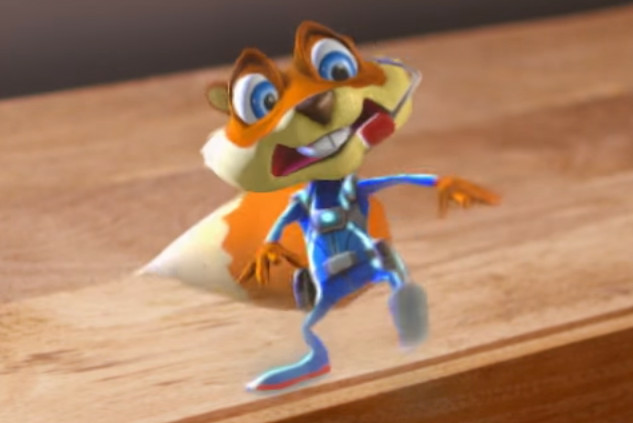 I haven't seen the video yet, but I know the bare details regarding Conker's history - namely, it was done out of spite when Conker was seen as "Yet another kiddy N64 title". And on a meta level, that spit in the face was more than overdue. Too bad Nintendo didn't advertise it enough. Wow. Conker condoms. I wonder how much THOSE go for. Hahaha. I guess this script was written before "young Conker" showed his terrifying mug. The most bittersweet game of all time. Then we learn the bad times with Conker, "Cough" Young Conker "Cough"
oh Rare. why did you have to go with Microsoft? Conker along with all of Rares talent, have so far been wasted at Microsoft. I liked Kameo, and Perfect Dark Zero. But they were not the quality of games Rareware, were putting out on Nintendo consoles the generations prior. Nintendo, seriously dropped the ball not buying Rare. I had no idea Nintendo published the game in NA. They passed on it here in Europe and THQ picked it up. It is amazing this game was not banned. Old Rare is now basically the PlayTonic team anyway so it doesn't matter; Microsoft has the old IP but they will make new ones. CBFD is one of my all time favorite games. Too bad Microsoft and current Rare pretty much destroyed him along with Banjo, Perfect Dark and Jet Force Gemini. RIP Rareware. @NintendoFan64 KILL IT! KILL IT WITH FIRE! Conker's Bad Fur Day will always be a favourite of mine. This was a game i liked, i remember i was suprised because its such a childiss character, but the game was really nice, addicting even. Nowadays i like the work of Rare a lot, and hunt every game they ever made. @Madder128 I regard Viva Pinata as one of my all time favorite games, even more than the DKC trilogy. But aside from that, I agree with your point. @goldengamer88 You know your right with that, and I throw my hat down, Viva Piñata was a class game.